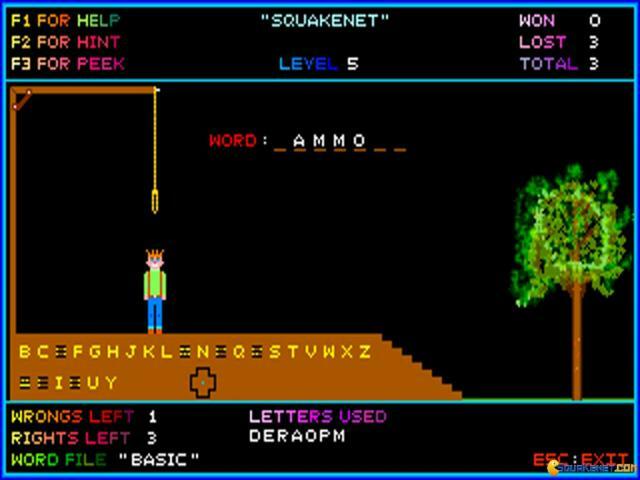 Hangman is a well produced DOS guess the word game, following the rules of classic hangman, the pen and paper game. 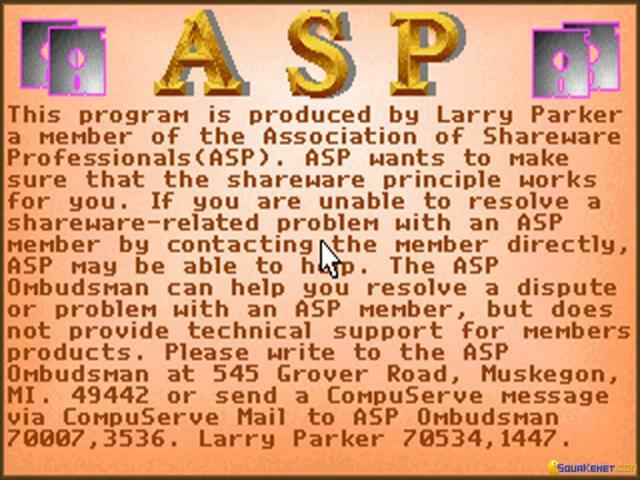 Graphically it's decent, it looks more like an application done for DOS, with a Spartan choice of colors and a black game background, yet with a Windows style main menu. More so, Hangman has a comprehensive vocabulary list, which is great to because you never get the same words over and over again. So, the gist of it is this: you get a word on screen, which has quite a few letters missing. You have to guess the word and you do so by adding letters to it. However, choose a wrong letter in the word, and you will get your hangman closer to being hanged. So you have to be careful how you pick your letters. 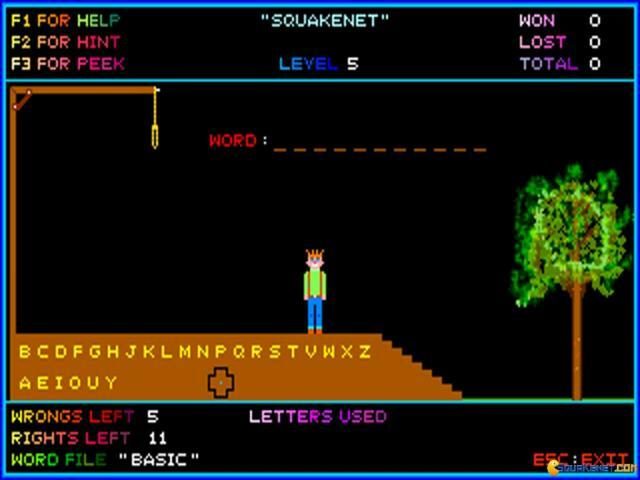 The fewer wrong letters you choose, the higher the score you will get. There is a basic and an advanced game mode to play as, with the later offering you a lot more diverse vocabulary, plus longer words. Well done, overall, so worth having around if you love hangman, and if you think you have a good vocabulary. 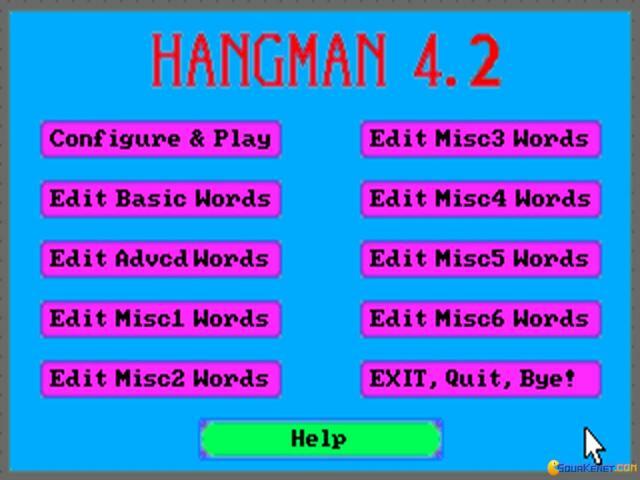 Also, you should download Hangman 2, its successor, adding more words and a much better graphical interface to it.